Washington - With Donald Trump leading a splintered field, top Republican Party officials are keeping open the possibility that the fight to be the party’s presidential candidate could stretch to the nominating convention in July, officials said on Thursday. 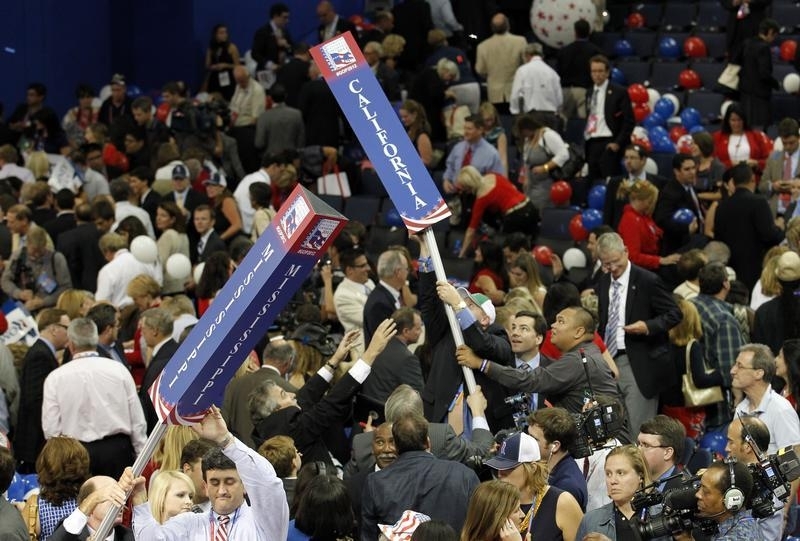 A so-called “brokered convention,” in which no single candidate has a sufficient number of nominating delegates to become the presidential nominee in the November election, used to be a common feature of American politics. But there has not been one in more than 60 years. The possibility that the Republican battle for a nominee will extend to the July 18-21 convention in Cleveland was discussed at a dinner on Monday of top party operatives hosted by Republican National Committee Chairman Reince Priebus. Three party officials said Priebus was asked at the dinner if the party was prepared for a brokered convention, and Priebus said he was. For Priebus, the subject comes up frequently in conversations, the officials said. Trump’s rise to the top of the 14-candidate field has confounded establishment Republicans who have been waiting in vain for the New York billionaire’s insurgent campaign to collapse. They are alarmed at some of his incendiary rhetoric and proposals, such as his proposal to ban Muslims from entering the United States. Various scenarios could play out in coming months with the battle evolving into a contest between two or three candidates, with none of them able to gain enough delegates. One official at the dinner meeting said the discussion of a brokered convention only came up briefly and that it was not about Trump. “It was more logistical in nature, not strategic. It was more like ‘are you planning for a hurricane?’” said the official. Republican National Committee (RNC) senior adviser Sean Spicer, asked for comment, said the RNC is neutral in the process. “Our goal is to ensure a successful nomination and that requires us thinking through every scenario, including a contested convention,” he said.